Roy Bargy was a pianist, composer, arranger and conductor from the 1910s through the early 1940s. He was born in Newaygo, MI on 31st July 1894 and was the son of Frederick H. Bargy (1860-?) and Jessie McKee Bargy (1855-?). Roy took piano lessons from the age of 4, and made his solo debut in 1910 in Toledo, Ohio where his family had moved in about 1897. Although all of his training was in the classical music sphere, Roy’s interest in popular music began around 1911, the era of the great popularity of Irving Berlin’s Alexander’s Ragtime Band. By the mid-teens, Bargy led his own band in jobs in and around Toledo. 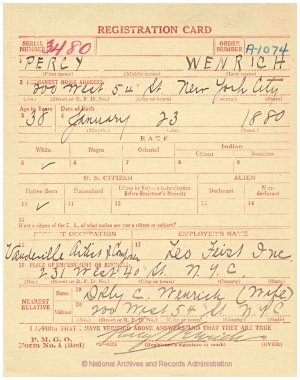 He took a full-time job making player piano rolls for the Imperial Co. in September 1919, where he worked with Charley Straight and composed about a dozen rags for release on rolls, among them such numbers as Pianoflage and Jim Jams. Eight of the pieces, including two that had actually been composed by Charley Straight before Straight and Bargy had met — Knice and Knifty and Rufenreddy — were published by Sam Fox in Cleveland in 1922. By the time those pieces had been published, Bargy (and Straight) had left Imperial, which was absorbed by the industry leader, QRS, in 1922. Bargy led the Benson Orchestra in Chicago for a couple of years, then went with Isham Jones’s band for several years. In December 1927, Bargy joined the Paul Whiteman orchestra, which he played with and eventually became second-in-command of, until 1940. Eubie Blake claimed from 1928 that he was born in 1883. In the course of my research in 2001 and 2002, I discovered that Eubie, like Jelly Roll, had misrepresented his age and was actually born in 1887. The article, incorporating the documentary evidence I had found, was published on this website in January 2003 to a considerable amount of disbelief. 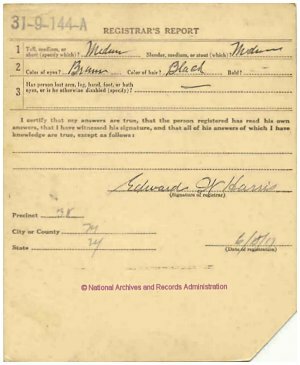 Subsequent documents digitized on the website of the Maryland Historical Society, which holds all the Blake papers, put the issue beyond any shadow of a doubt. Some writers have steadfastly refused to change Blake’s birth year to 1887, while others have made claims that they knew all along, and it was an “open secret”. The honest researchers admitted that they had suspicions, but could not find sufficient documentary proof. The ragtime era, stretching from the last years of the 19th century to the end of the second decade of the 20th century, produced many fine pianists who were forced by the social conventions of the time to ply their trade in honkytonks, barrelhouses, vaudeville theatres, movie theatres, music stores, hotels, steamboats, saloons, and, of course, the multitude of sporting houses throughout the United States. One of the very early white ragtime pianists spreading the ragtime gospel in extensive travels throughout the Midwest, the South and the Southwest, was Brun Campbell, known variously as The Ragtime Kid, The Original Ragtime Kid, The Dude, The Indian Kid, Kid Campbell, and Brunnie Campbell. 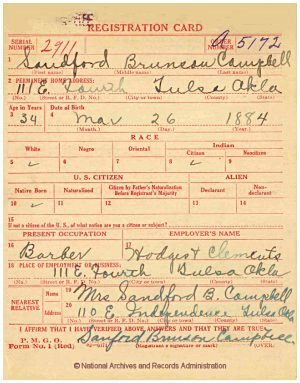 Sanford Brunson Campbell was born on 26th March 1884 in Washington, Washington County, Kansas, a small town founded in 1860 in the northern central part of the territory, which was admitted to Statehood on 29th January 1861 as the 34th State of the Union. 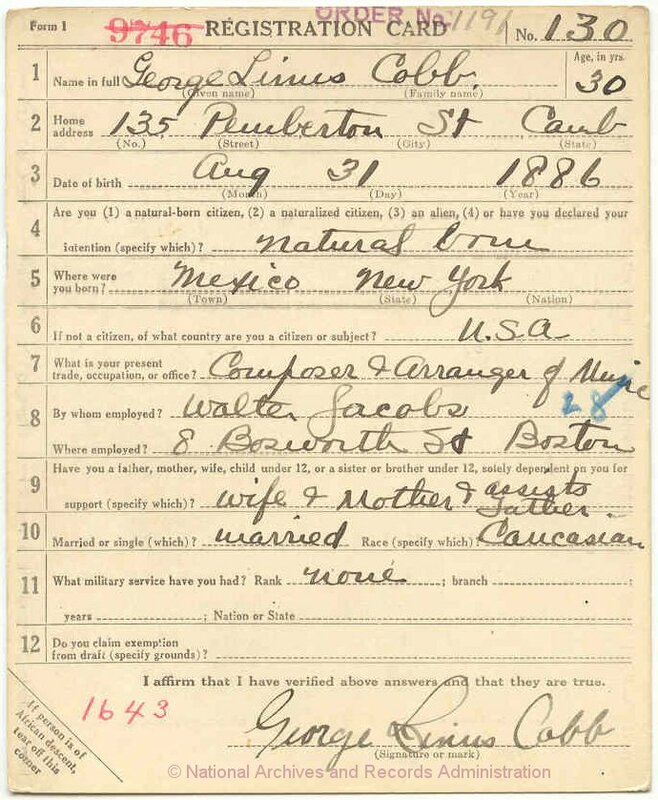 His father was Lewis E. Campbell, a barber and later travelling salesman, born in Wisconsin in 1867, and his mother was Lula (Emilie) Bourquin, born in Indiana of French parents in 1868. Both parents were musical. His father strummed the guitar and sang in a barbershop quartet and his mother picked the banjo, so it was natural that Brun took up the piano at an early age and became a competent pianist by the time he reached his teens. The Campbell family had the proverbial itchy feet, and just about every other year was a moving day for them. From Washington, Kansas they went to Oberlin, Kansas where Brun’s younger brother, Harold, was born on 15th July 1891; then on to St. Joseph, Missouri followed by Arkansas City, Kansas in 1893; Guthrie, Oklahoma, Oklahoma City and El Reno, Oklahoma; and back to Arkansas City, Kansas, as recorded in the Kansas Census of 1st March 1905. Their final recorded moves in the Midwest were to Tulsa and Chickasha, both in Oklahoma around 1910. 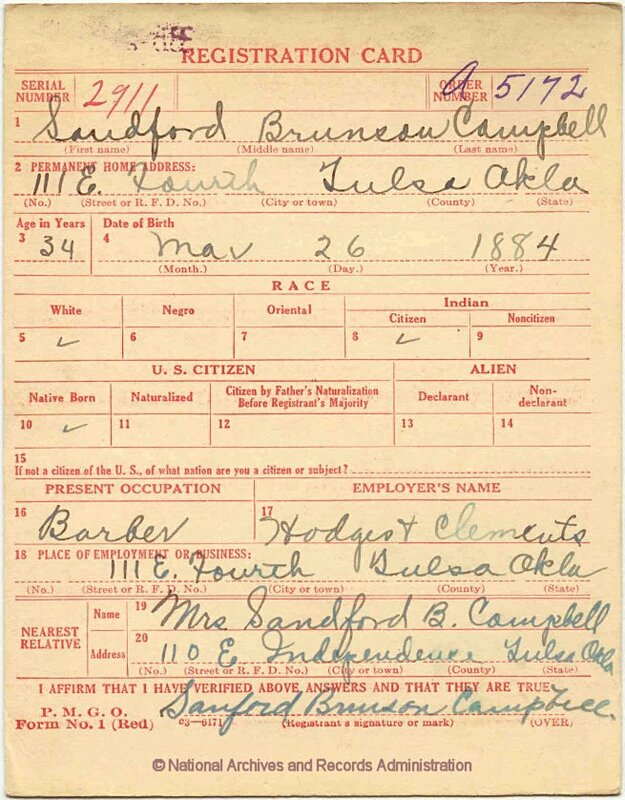 From Oklahoma, they turned up in Los Angeles, California with Brun and Harold by the time of the U.S. Census of 1st January 1920. 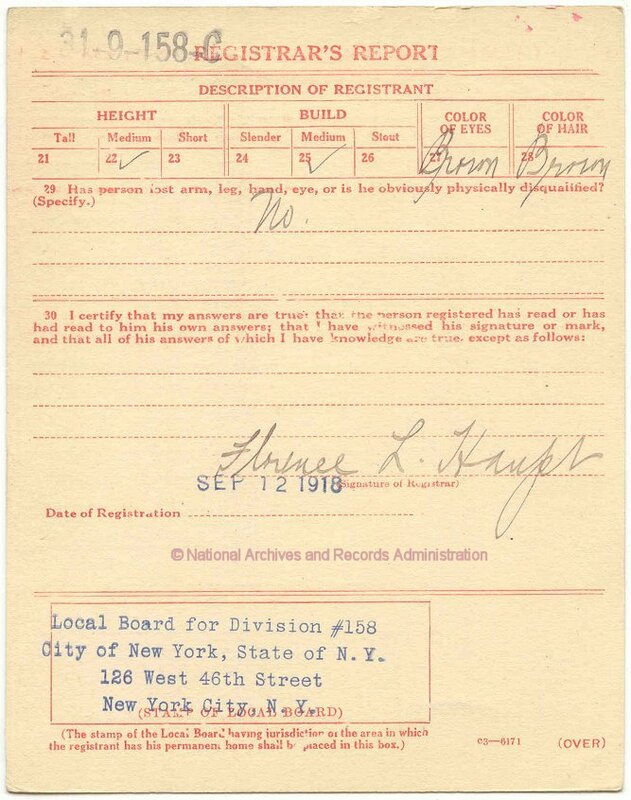 Brun was even more of a wanderer and, in 1898, ran away from home with the son of a local doctor to Oklahoma City, an event that was to introduce him to the classic ragtime of African-Americans. 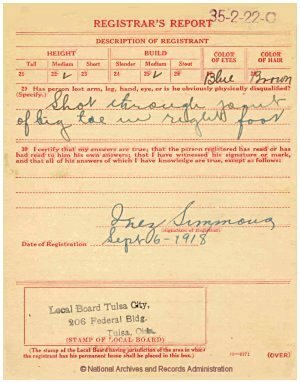 In Oklahoma City, he found his way to the Armstrong-Byrd Music Store, sat down at the piano, and began playing some popular songs of the day. A crowd gathered and after a time, a young mulatto stepped forward and placed a pen and ink manuscript on the piano bearing the title Maple Leaf Rag by Scott Joplin. Campbell played the piece at sight with only a few mistakes, and the young mulatto introduced himself as Otis Saunders, a fine pianist, who said he was going to Sedalia, Missouri in a few days to see his friend, Joplin. 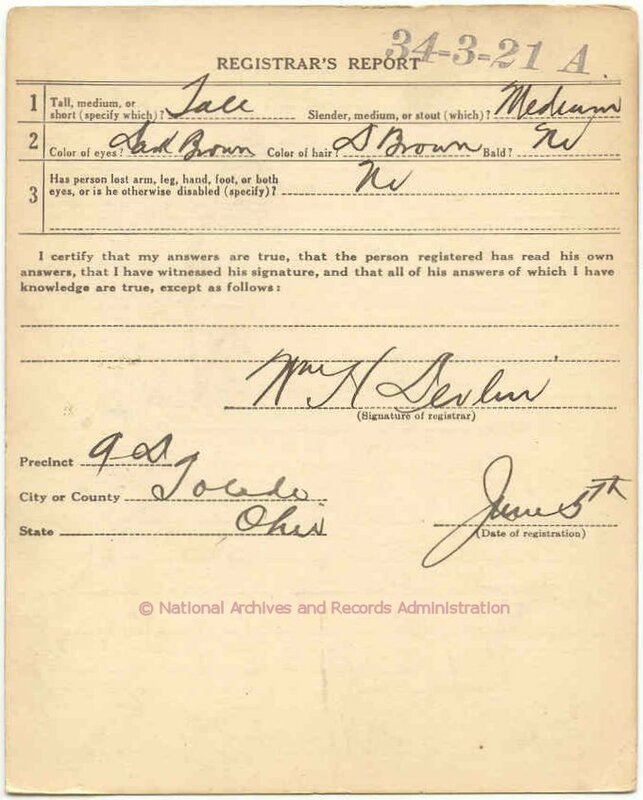 The wandering life of a ragtime pianist came to a halt for Brun when he married his first wife, Ethel, in 1908 and settled down in Tulsa, Oklahoma as a barber, a trade he had learned from his father. 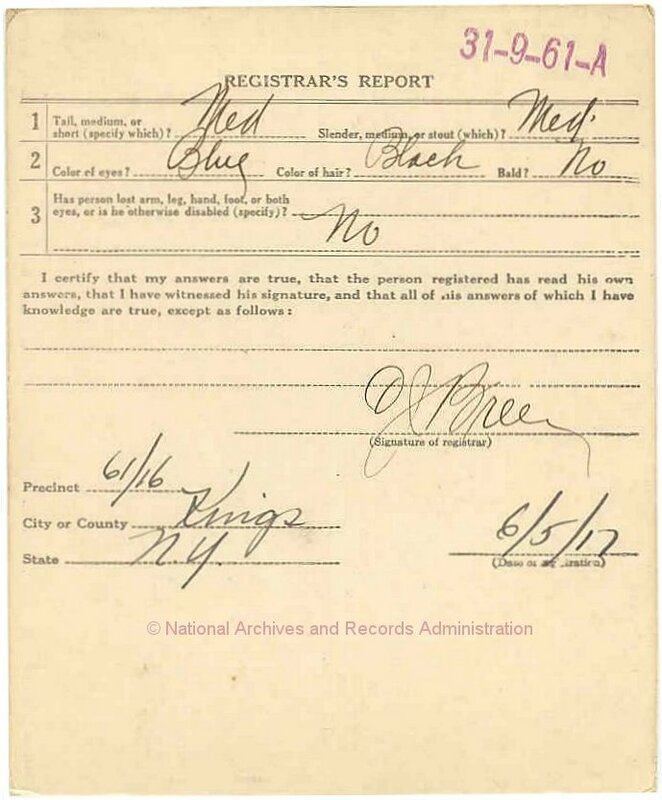 The marriage does not appear to have lasted much more than a few years for he was living with his parents in Los Angeles at the time of the 1920 U.S. Census. Brun married his second wife, Marjorie, in the 1920s and they settled in Venice, California about 1928. They lived at 770-C Crestmore Place, Venice, from 1930 until the early 1950s. Placed at the forefront of the ragtime revival of the 1940s on the West Coast, he was a fountain of information for Blesh and Janis in their research for their great book, “They All Played Ragtime”. Recordings of his playing were made by West Coast Records and Ray Avery’s Echoes label, both of which were acquired by Paul Affeldt who issued most of the recordings on Euphonic LPs ESR 1201 and 1202, which have recently been reissued on Delmark CD 753 with all the surviving alternate takes. Campbell’s playing on these recordings reveals a folk style rather than a classic style of playing, with snatches of popular tunes incorporated in his rags, much in the manner of Francis X. McFadden’s Rags to Burn, published in 1899, and the fine rags of Charles Hunter. According to David A. Jasen and Gene Jones in “That American Rag”, Cobb entered the School of Harmony and Composition at Syracuse University in 1905 (at the age of 19). [TAR 228] He later won a competition in Buffalo in 1909 for his composition Buffalo Means Business. Jasen and Jones in “That American Rag” surmise that it was likely around this time that Cobb hooked up with Jack Yellen who worked at the Buffalo Daily Courier. [TAR 229] Yellen came to be Cobb’s main lyricist with the two of them composing over 25 songs together. Cobb and Yellen’s success on Tin Pan Alley resulted in a number of hits, with their first attempt being All Aboard for Dixieland (1913). George L. Cobb’s first published rag was Rubber Plant Rag: A Stretcherette (1909), published with Walter Jacobs in Boston. Jacobs went on to become his major publisher and employer when Cobb later became a staff writer for Jacobs’ “Tuneful Yankee” and “Melody” magazines. 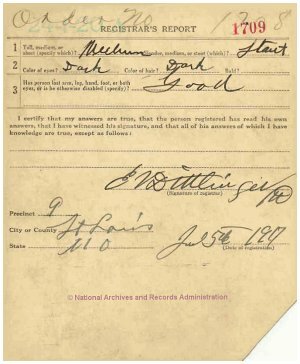 George Linus Cobb registered for the WWI draft on 5th June 1917, when he was 30 years old. 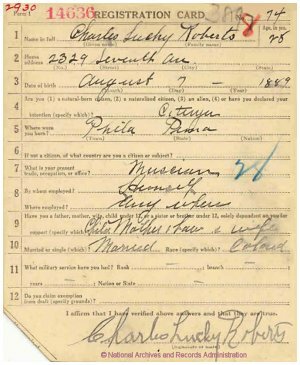 The draft card shows his occupation as a “composer and arranger of music” with his wife, mother and father listed as his dependents. 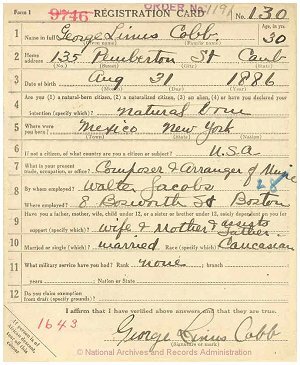 On the back of the draft card, Cobb is described as tall and stout, with gray eyes and brown and gray hair. His only possible medical impairment appears to be that he suffered from a hernia. One of the members of the later school of classic ragtime in St. Louis was the fine pianist and composer, Robert Hampton. Hampton was born in Tuscumbia, Colbert County, a small city in north western Alabama in the foothills of the Appalachian Mountains in the Tennessee River valley. Tuscumbia is only a short distance from the Muscle Shoals, a forty-three mile stretch of shallow rapids on the Tennessee River. 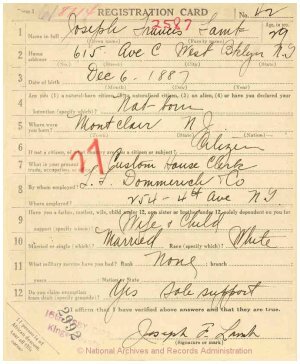 By the time of the 1900 U.S. Census (1st June 1900), Hampton’s widowed mother, Annie (nee Maddox) had moved with her two sons to Little Rock, Arkansas, and they were living at 1513 Chester Street in the 3rd Ward. 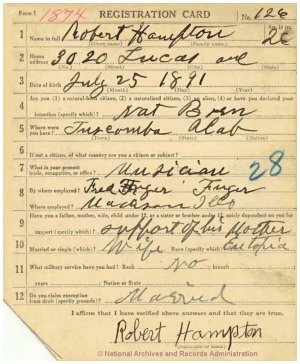 Nothing is known of Rob Hampton’s introduction to music but the family moved to St. Louis, the capital of ragtime, where he worked as a musician by 1910, when the family were living at 2926 Pine Street in the 17th Ward. 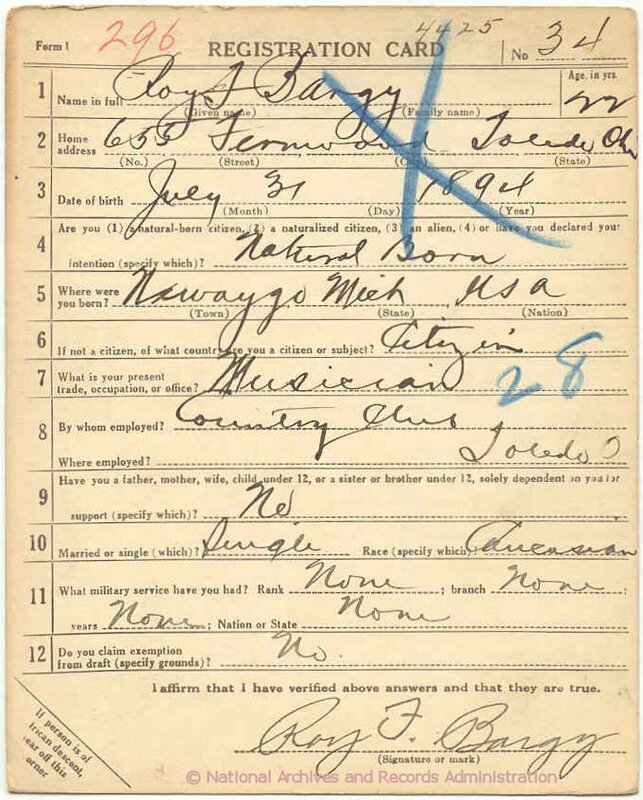 (1910 U.S. Census) Whatever his skills at the piano, he was unable to read music, like so many ragtime players of that era. 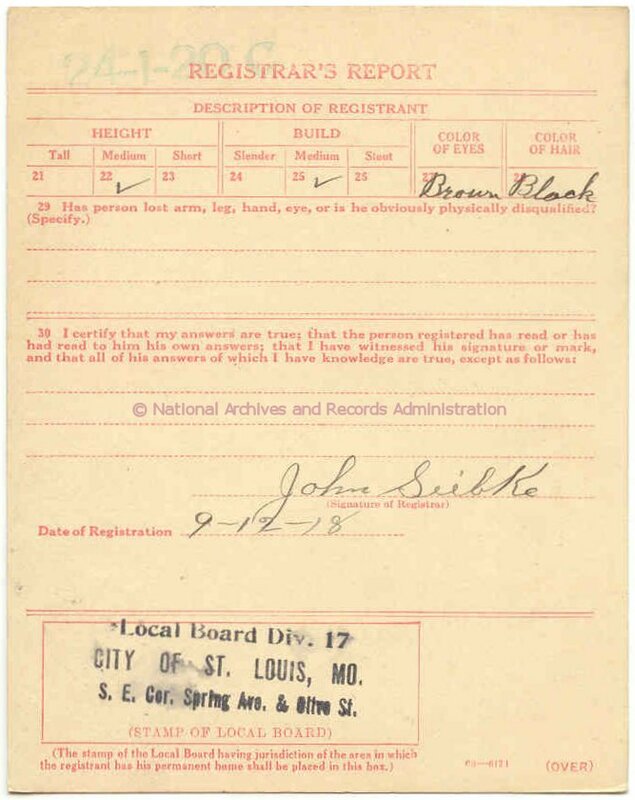 Early in 1914, Jelly Roll Morton arrived in the city of St. Louis with McCabe’s Minstrels where he quit the show, and was hired as a singer at a nightclub called the Democratic Club. [AFS 1653-B] and [AFS 1654-A] Jelly Roll obviously heard Rob Hampton play, although he remembered him as Bob Hamilton, and recalled that, “they had a lot of ‘em. Like Bob Hamilton — played pretty good — in fact real good. But of course he couldn’t read any music, and it was pretty tough when we get those tough tunes.” [AFS 1653-B] There is no evidence whatsoever that Hampton had any influence on Mister Jelly Lord. 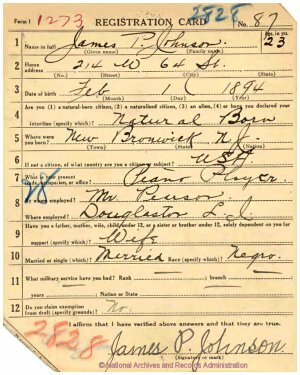 When Hampton registered for the draft on 5th June 1917, he gave his date of birth as 25th July 1891, which is a variation from other birth dates on the public record. 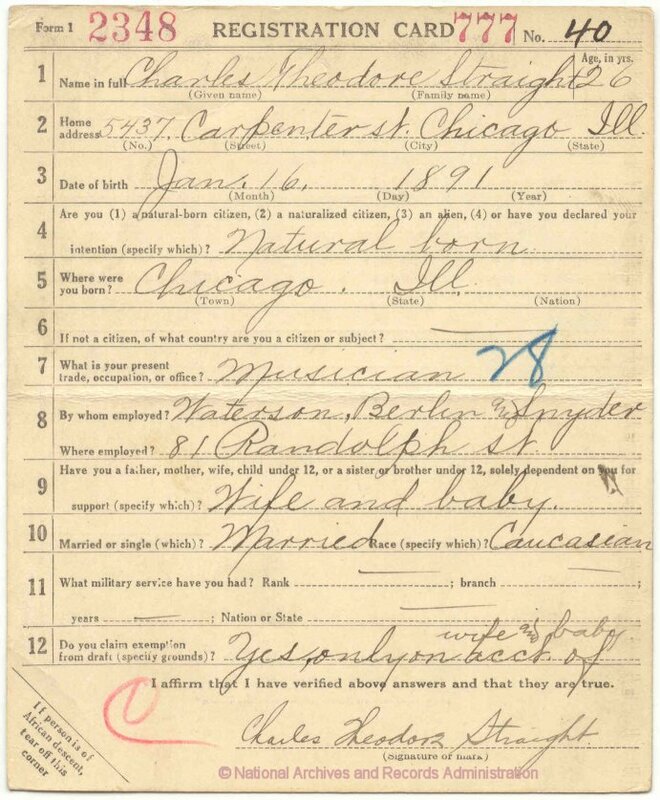 The 1900 U.S. Census has September 1890, which is consistent with ages given in the U.S. Censuses for 1910, 1920 and 1930, while his death certificate records the date as 10th August 1890. 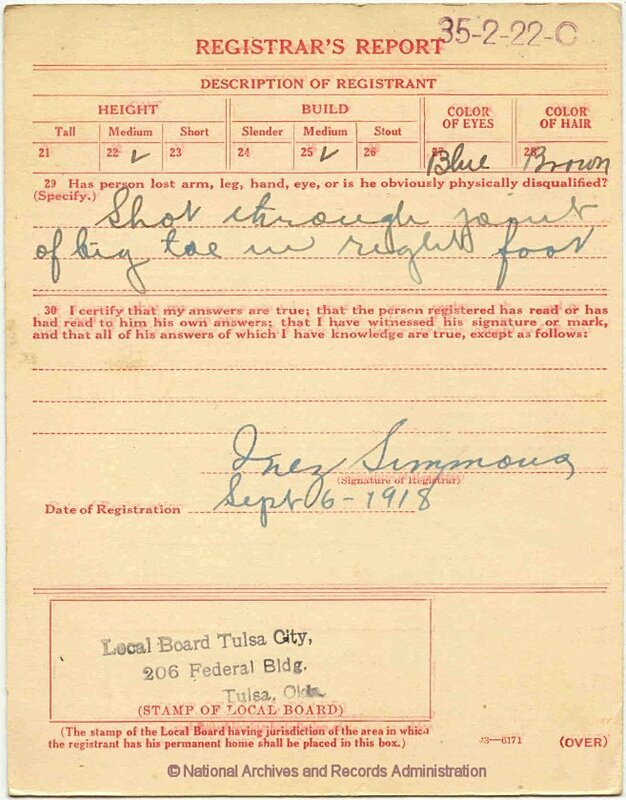 At the time of registration for the draft, Hampton was working as a musician in Madison, Illinois, a short drive from downtown St. Louis, for Fred Fuger, (born 1880 in Germany), who also managed Belchers Café at 519 Market Street, St. Louis. 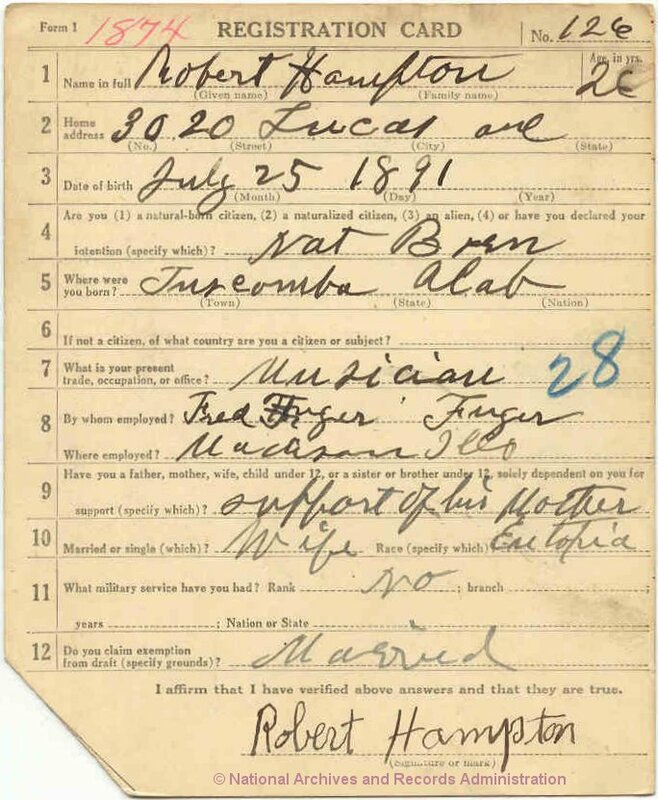 Rob Hampton continued to work as a musician in St. Louis, and in 1920 was living at 2995 Laclede Avenue, not far from the office of the great ragtime publisher, John Stilwell Stark. 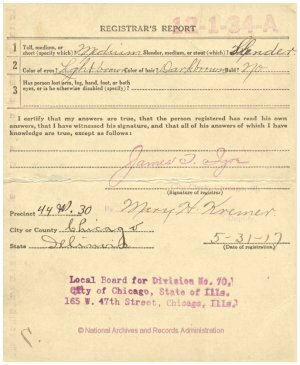 (1920 U.S. Census) However, by 1930 he had moved to Los Angeles where the 1930 U.S. Census recorded him residing at 852 East Adams Street. His occupation was listed as a musician in an orchestra. Tony Jackson was the dean of the Storyville professors, a pianist and singer admired by all who heard him, including his great rival and fellow traveller, Ferd (Jelly Roll) Morton, who was not always generous in his praise of other musicians. Known as “the man who knew a thousand songs” and the “world’s greatest single-handed entertainer,” Tony was much more than a ragtime or jazz pianist. Although self-taught, he was, according to Roy Carew, a pianist of superior ability as well as a singer whose like we have never seen since. Clarence Williams (1893-1965), who knew Tony well, asserted that he “was on the order of how [Nat] King Cole is now, only much better,” while the blues singer Alberta Hunter (1895-1984) said that Tony was one of the greatest accompanists she had ever heard. Much misinformation has been published about Tony’s birth date, in the main resulting from details written by Blesh and Janis in their classic work “They All Played Ragtime”. [TAPR 169] Blesh and Janis, in the course of their research for the book, had interviewed Tony’s sisters, Miss Ida Jackson and Mrs. Maria(h) Sutton, at their Chicago apartment at 4111 South Wabash Avenue. Tony’s birth date was recorded in the book as 1876, and 5th June 1876 has been the date usually given since then. 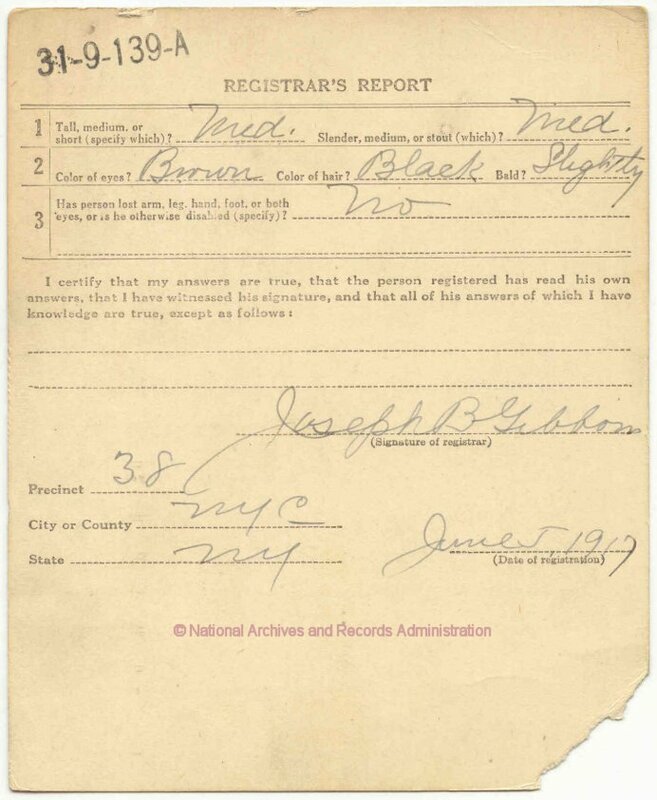 However, it appears that Ida Jackson must have misunderstood the question from the pioneer writers on ragtime, because she herself was born in New Orleans in June 1876. 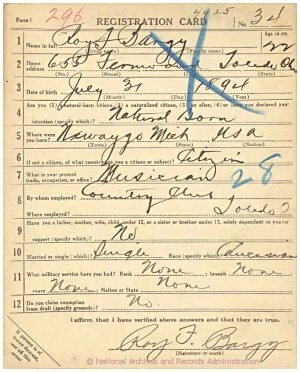 Although he juggled his age as he saw fit, it now seems certain that Tony Junius Jackson was born in New Orleans on First Street, between Annunciation and Rousseau, on 25th October 1882, the twin son of Rachel Jackson (née Dennis) (1845-1913), said to have been born in Richmond, Virginia, and Antonio (Tony) Jackson (1845-1916), a labourer and fisherman born in South Carolina. Tony’s birth date deduced from his age recorded in U.S. Census records shows a variation from census to census: age 17 (born October 1882) on 1st June 1900; 24 on 15th April 1910 (that is, born in 1885); and 32 on 1st January 1920 (that is, born in 1887). 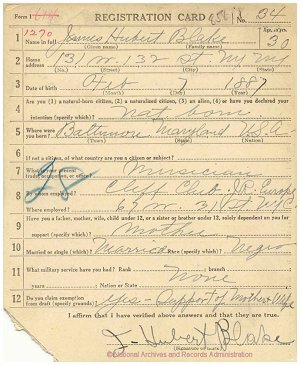 The date shown on his World War I Draft Card was different again, with a birth date of 25th October 1884. Tony soon tired of the rigours of travelling with a theatrical company, and left the Whitman Sisters when they reached Louisville, Kentucky. In the home of the Kentucky Derby, he met two of the leading pianists of the sporting world there, Glover Compton (1884-1964) with whom he formed a long-term friendship, and (“Piano”) Price Davis (1878-c.1910), the acknowledged leader of ragtime pianists in Louisville. 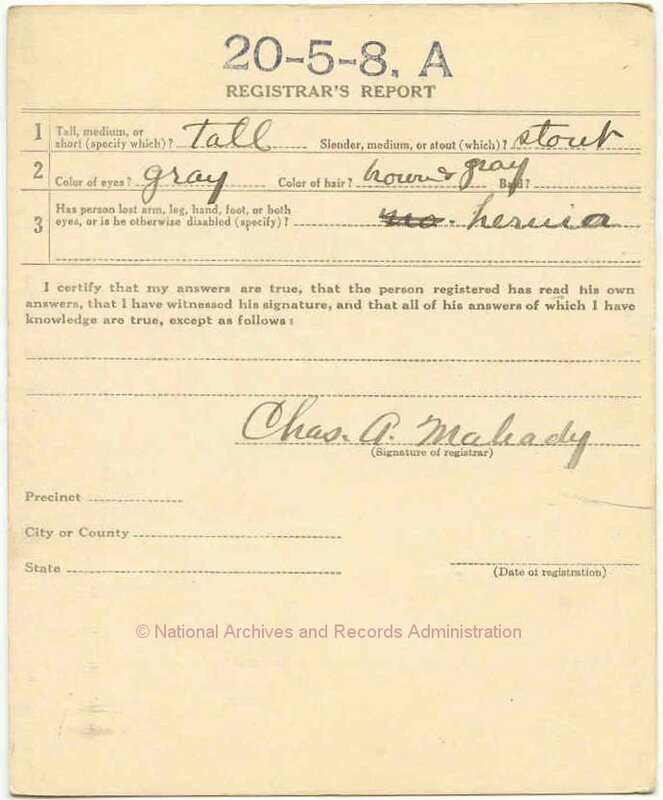 [TAPR 173] Davis was born in Cave City, Barrow County, Kentucky in October 1878, and he and his mother and brothers later moved to Louisville. His fame spread to the neighbouring state of Indiana, and many sports came from near and far to hear him play. Success made a gambler and sport of him until he drifted to the sporting district of Pittsburgh, Pennsylvania where he died a few years later. Back in New Orleans before the end of 1904, Tony played in the bordello of Madame Antonia Gonzales, the “only singer of Opera and Female Cornetist in the Tenderloin,” according to the edition for that year of the Blue Book, the directory of the New Orleans red-light district. It was at this time in the winter of 1904-1905 that the young Roy Carew, just twenty one years old and recently arrived from his native Michigan, first heard Tony play and sing while standing on the footpath near the window of Madame Tonia’s parlour at the corner of Villere and Iberville (Customhouse) Streets. Tony’s playing and singing so impressed Carew that he later sought out Tony, and the two became firm friends until Tony left New Orleans for good nearly a decade later. As well as playing in the high-class bordellos, Tony played frequently at Frank Early’s Café at the corner of Franklin and Bienville Streets. In 1905, he made his first trip to Chicago with Bob Caldwell, a pianist from New Orleans of mediocre ability. Using New Orleans as a base, he made another trip to Chicago in the winter of 1907-1908, playing at Bob Russell and Sidney Dago’s Café on the Southside, where Roy Carew visited him in 1909 on his way to Grand Rapids, Michigan to see his family. 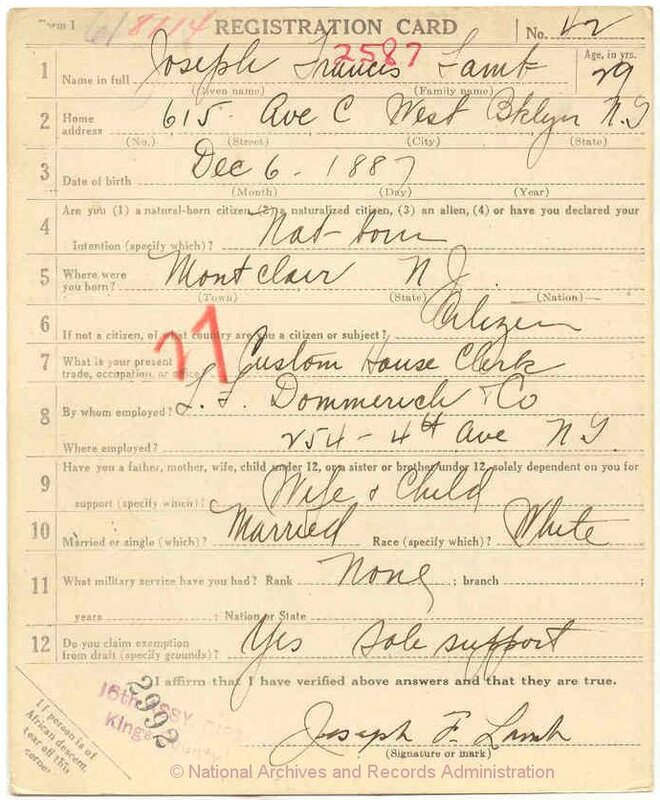 Tony was back in New Orleans before the date of the 1910 U.S. Census on 15th April, for he was recorded living with his parents at 3928 Laurel Street in the 12th Ward. 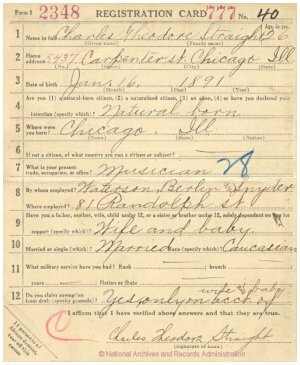 He left New Orleans permanently about 1912 to settle in Chicago, and returned only when his mother died in January 1913. The life in Chicago suited Tony, and he was one of the best and most popular musicians in the Southside, stopping traffic, as Jelly Roll said, on State Street at Teenan Jones’ Elite No. 1 and Elite No. 2, and later at the Pekin Café. His sister, Ida Jackson, and his brother-in-law and second oldest sister, David and Maria Sutton, moved to Chicago about 1915 and lived with Tony in his apartment at 4111 South Wabash Avenue for the last several years of his life. Tony did not make any records, but published nine songs in the period from 1916 to 1920, including the very popular Pretty Baby, written much earlier in New Orleans, which is still played today. Tony was a heavy drinker in his Chicago days and earlier, and suffered from cirrhosis of the liver for some years before he died in his apartment of that complaint on 20th April 1921 at thirty-eight years of age. 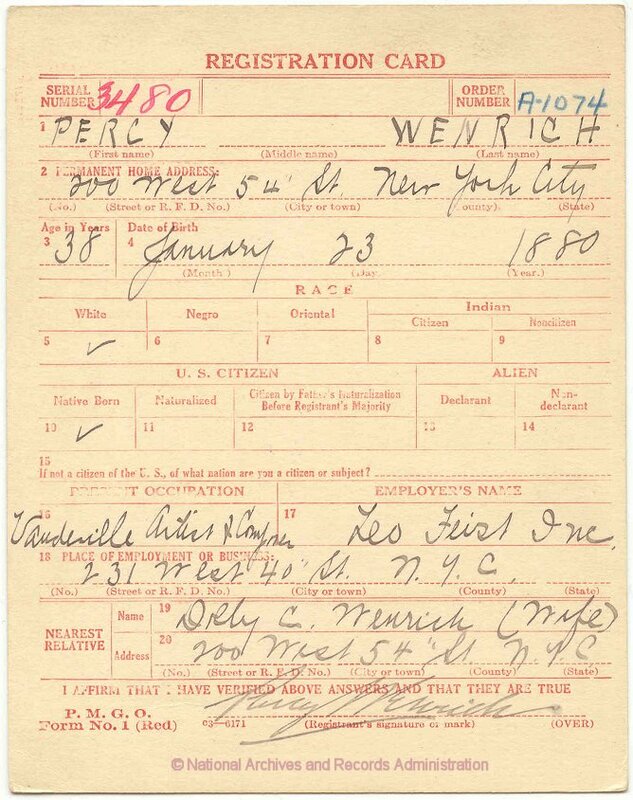 All of the musicians that knew Jelly Roll Morton had strong opinions about him, as documented in the dozens of interviews in William Russell’s “Oh, Mister Jelly.” The African–American pianists in New York in the late 1920s and 1930s knew Morton well and many of them, such as Willie “The Lion” Smith and Duke Ellington, had low opinions of Morton’s musicianship and playing ability. Unique among the pianistic giants in New York, the renowned James P. Johnson (1894–1955), generally acknowledged as “The Father of Stride Piano,” seems to have always had a high estimation of Jelly Roll’s musicianship, from the time he first heard Morton in New York around 1911 (or 1912, according to Johnson’s close friend Willie “The Lion”). [OMJ 448] Johnson stated that he was “able to appreciate him [Morton] then, but I couldn’t steal his stuff. I wasn’t good enough yet.” He then proudly added: “In 1943, though, they picked me to impersonate his style at the New Orleans Jazz Carnival.” It is likely that the engagement to which he refers was the “Esquire Magazine All–American Jazz Concert” of 17th January 1945, in which he was the pianist in “Louis Armstrong’s Jazz Foundation Six” in a live, nationally–broadcast concert from New Orleans. 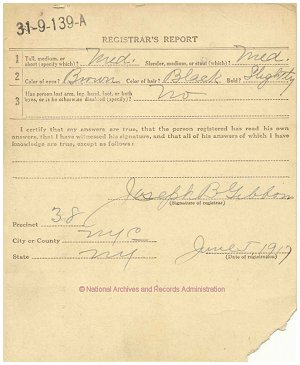 The period of Johnson’s career around the date of the required draft registration (5th June 1917) was an extremely busy one, full of firsts for him. 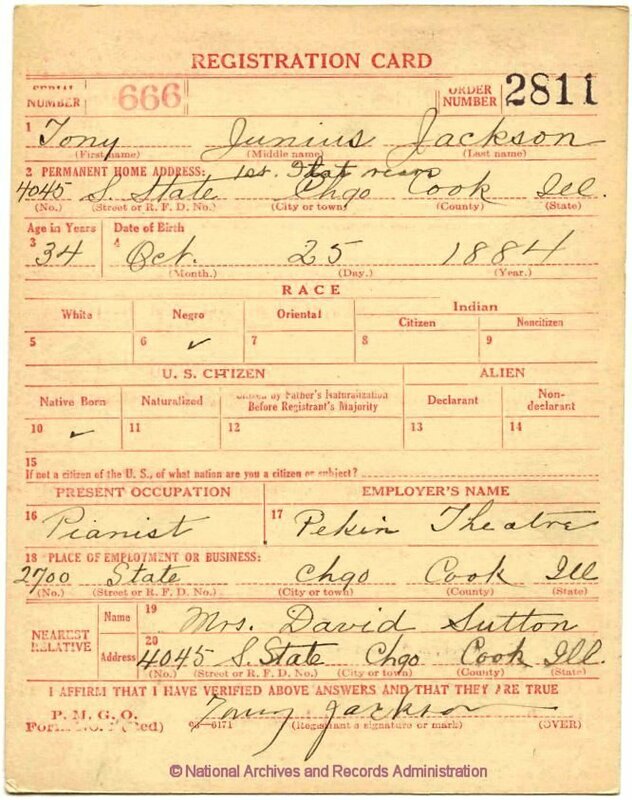 In the primary source of information about his early career, which is the series of interviews Johnson did with Tom Davin, published as “Conversations With James P. Johnson,” he calls 1916–1918 “The Giggin’ Years,” referring to the many short engagements of various kinds he played. [TD] Sometime during the previous year, Johnson had met Will Farrell, an African–American songwriter and performer, and had learned from Farrell how to notate his compositions. Farrell also wrote lyrics for them, probably having convinced Johnson that there was much more of a market for songs than for instrumentals. Johnson and Farrell sold two of the songs and a march (instrumental) to the publisher F. B. Haviland. 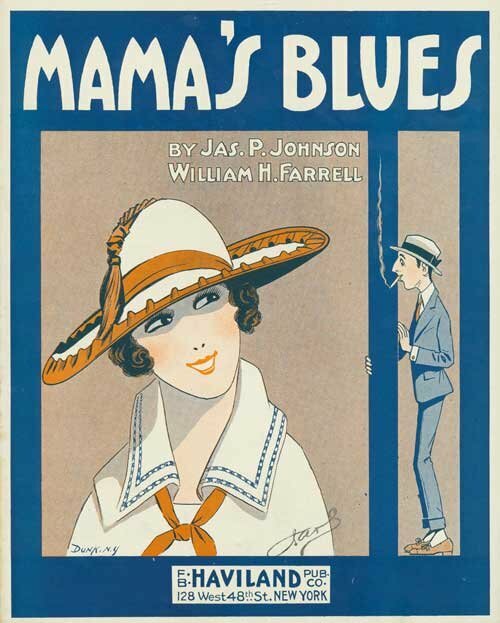 Haviland copyrighted Mama’s Blues on 10th May 1917, Stop It on 21st August 1917, and the march Boys of Uncle Sam on 5th July 1917. These three were the first compositions of Johnson’s to be published. Judging from the frequency of different piano roll versions of Mama’s Blues that are found today, it could be concluded that this tune had some popularity. 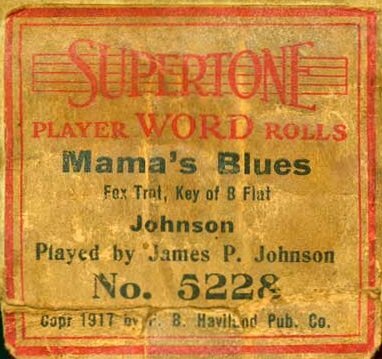 Earlier in 1917, or possibly late in 1916, Johnson had made the first of his many player piano rolls, for the Aeolian Company. The first few of these rolls were released by Aeolian on their Universal and Metro–Art labels in May 1917. All of the rolls recorded for Aeolian were of his own compositions, with the exception of his roll of After Tonight, which was composed by his songwriting partner Will Farrell. [JPJR] Also during 1917 Johnson reported having cut his first phonograph record, of his Caprice Rag, for a company that later became Okeh records. Unfortunately the record was never released, and Johnson’s solo piano was not heard on records until September 1921 (Johnson’s Harlem Strut on the Black Swan label). 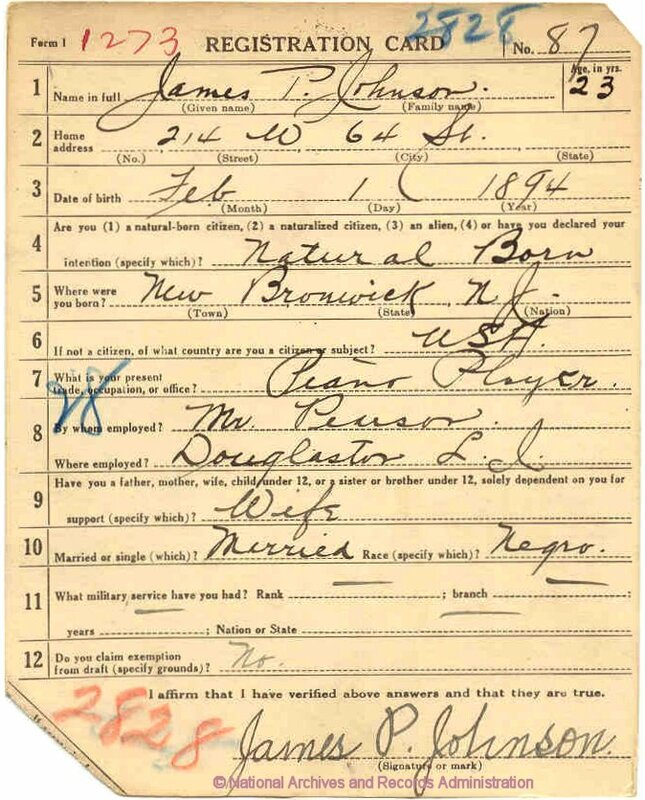 The draft registration card for James P. Johnson shows his correct date of birth (1st February 1894) and city of birth “New Brun[s]wick, NJ.” His home address is 214 W. 64th Street, which is on the edge of the neighborhood known as “The Jungles” or “San Juan Hill,” vividly described by Edward Berlin in “Reflections and Research on Ragtime”. [RRR 58] One of the places Johnson reports having played at in that period was “Drake’s Dancing Class” or “The Jungles Casino” on W. 62nd Street, just a couple of blocks away from his home. (This area is now just west of Lincoln Center for the Performing Arts.) 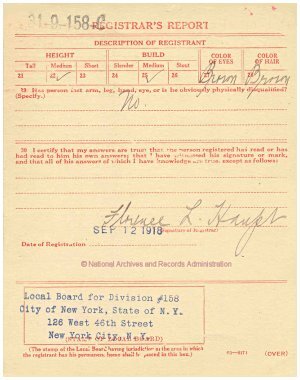 To boil down his wide ranging musical activities to just a phrase, his occupation is given simply as “piano player.” Presumably a recent gig had been at Douglaston, Long Island, working for a Mr. Pearson, as he gives that name as his employer. 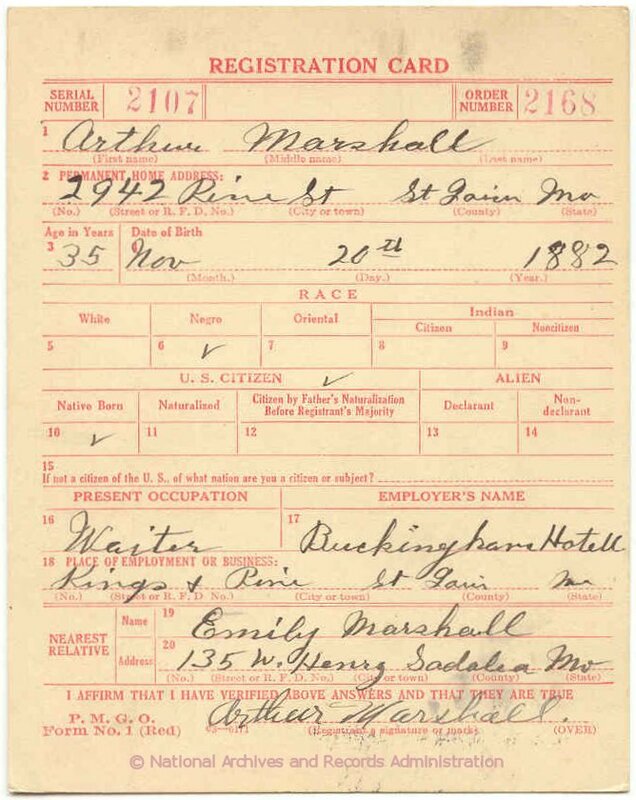 Arthur Marshall (ca. 1882-1968) is remembered primarily as a student, friend, and collaborator of Scott Joplin. He was interviewed by ragtime researchers in the 1950s and 1960s and was an important source of information about Joplin and about ragtime’s early years. 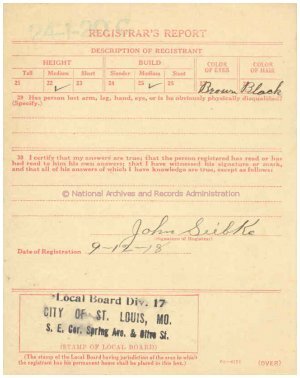 Preserved letters to him from John Stark give insights into the business methods of ragtime’s premiere ragtime publisher. 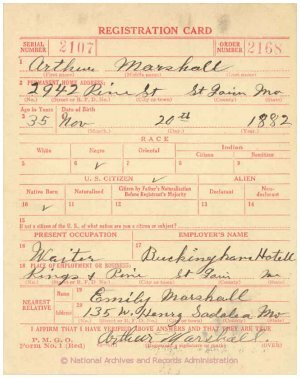 Marshall and Joplin became acquainted around 1894 when Joplin boarded with the Marshall family in Sedalia, MO. Marshall became Joplin’s student and in 1896 or 1897 attended Smith College in Sedalia at the same time Joplin attended. He was a charter member of Sedalia’s legendary Maple Leaf Club when it was founded in 1898, and around 1900 co-composed with Joplin Swipesy Cake Walk. Marshall’s other notable rag publications are Kinklets (1906), Lily Queen (1907; Joplin is credited as co-composer, but only loaned his name to help sales), Ham and ! (1908), The Peach (1908), and The Pippin (1908). 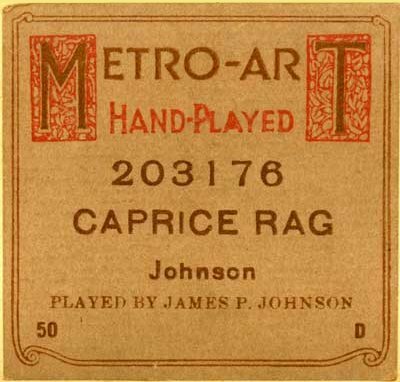 Several previously unpublished rags were issued in various editions of They All Played Ragtime. Marshall performed with McCabe’s Minstrels from 1901 to 1904; thereafter, until around 1917, he worked as a saloon pianist, mostly in St. Louis, but also briefly in Chicago. 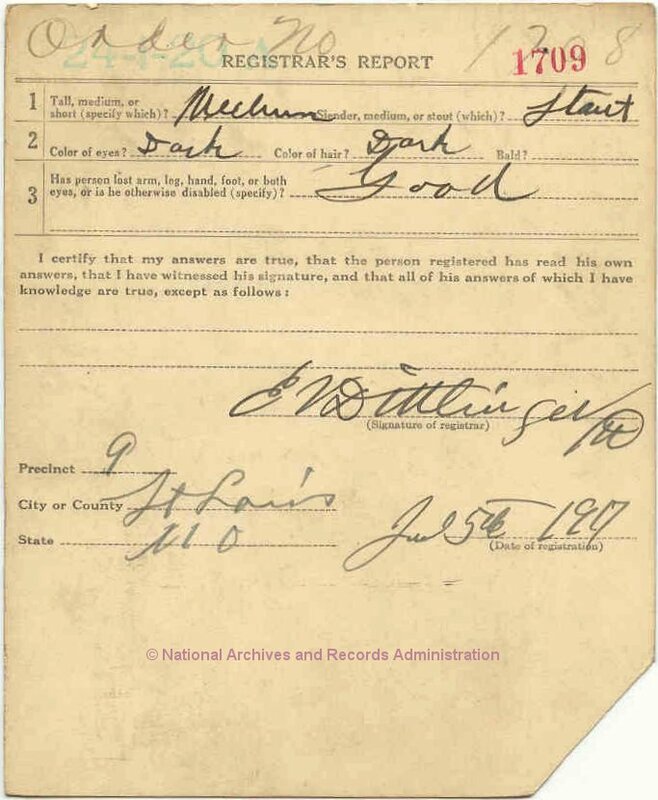 Marshall and Joplin had last seen each other in 1907, but corresponded regularly after that. Luckey Roberts, as he was generally called, registered for the World War I draft as “Charles Lucky Roberts” in New York on 5th June 1917. His unusual middle name was also variously spelt as Luckeyeth , Luckeyth, Luckyeth and Luckyth. Whatever the correct version of this name, it is only an academic question today, for there was only one Luckey Roberts. He was a totally unique pianist, possessed of a prodigious technique and a powerful and individual style. 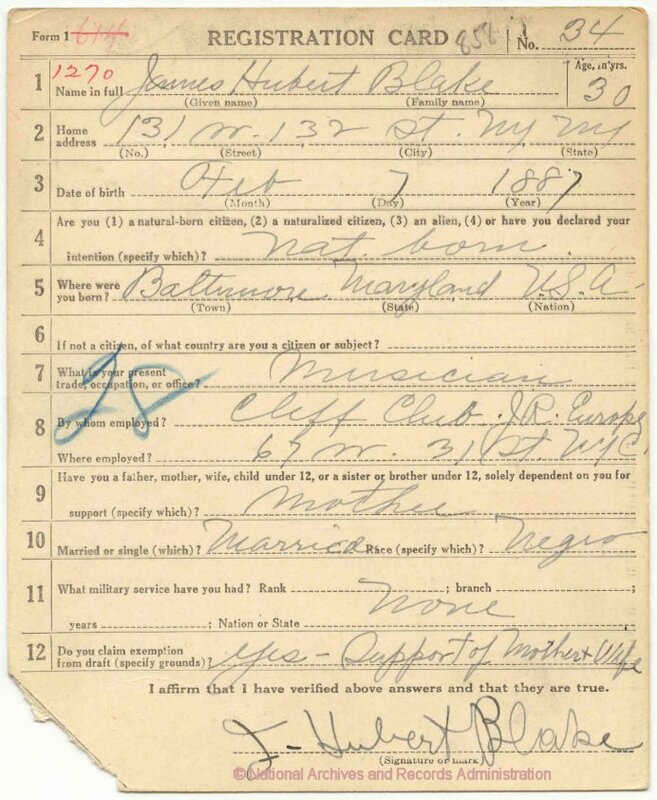 Born in Philadelphia, Pennsylvania, his birth date on the draft card was given as 7th August 1889, instead of the usual birth date of 7th August 1887. 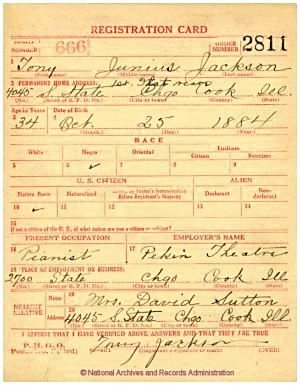 However, Luckey gave other birth years in other sources, 1891 on his World War II Draft Card, and 1893 to Nat Hentoff for his notes to Luckey’s Good Time Jazz album. The 1930 U.S. Census (1st April) supports the 1889 date, but the entry in the Social Security Death Index shows 1893. It is unlikely that any birth records exist for him. 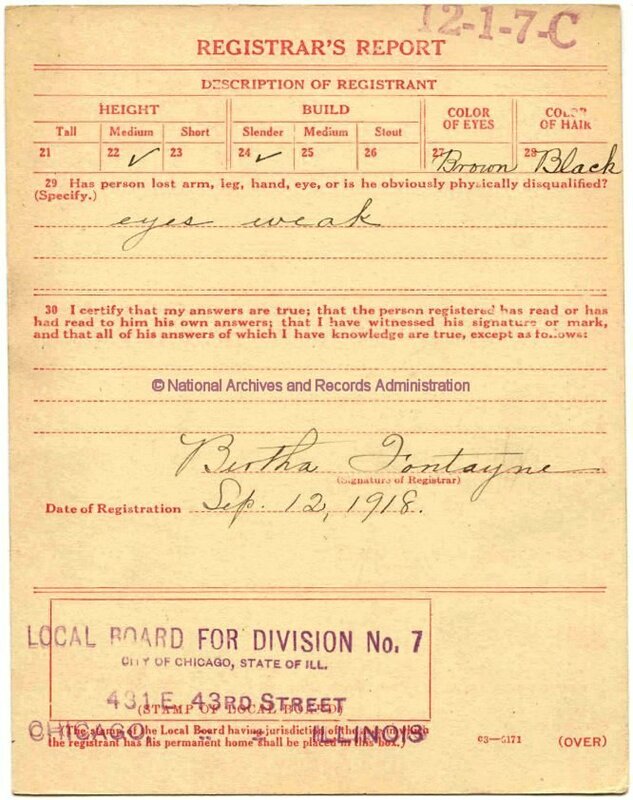 Although only 4 feet 10 inches tall, Luckey had very large hands which could stretch fourteen notes on the piano, although Johnny Guarnieri claimed he could stretch two octaves. Some people said that he told them that he had the webs between his fingers surgically cut so he could increase his stretch, but this may just simply be another of his exaggerations. Luckey was the first of the stride pianists to have his work published with simplified arrangements of Junk Man Rag and Pork and Beans in 1913, and he was the acknowledged leader of the New York school for many years. He wrote some thirteen musical productions from 1917 to about 1942 but none were successful, although they contained some fine music. Success did come with his 1941 song Moonlight Cocktail that Glenn Miller put on the Billboard charts for nineteen weeks in 1942. Providing a number of orchestras for the functions of East Coast high society from the early 1920s to 1940 was Luckey’s path to financial success. He had as many as four orchestras at a time, which employed such legendary pianists as his boyhood friend, Abba Labba (Richard McLean), and Paul Seminole, Donald Lambert’s onetime musical partner. Luckey had a large following in New York, and his playing was greatly admired by such diverse pianists as Eubie Blake, James P. Johnson, Willie “The Lion” Smith, Duke Ellington, Claude Hopkins, Donald Lambert, Johnny Guarnieri, Erroll Garner and Red Garland. His recording career spanned the years 1916 to 1958, but his output was meagre. 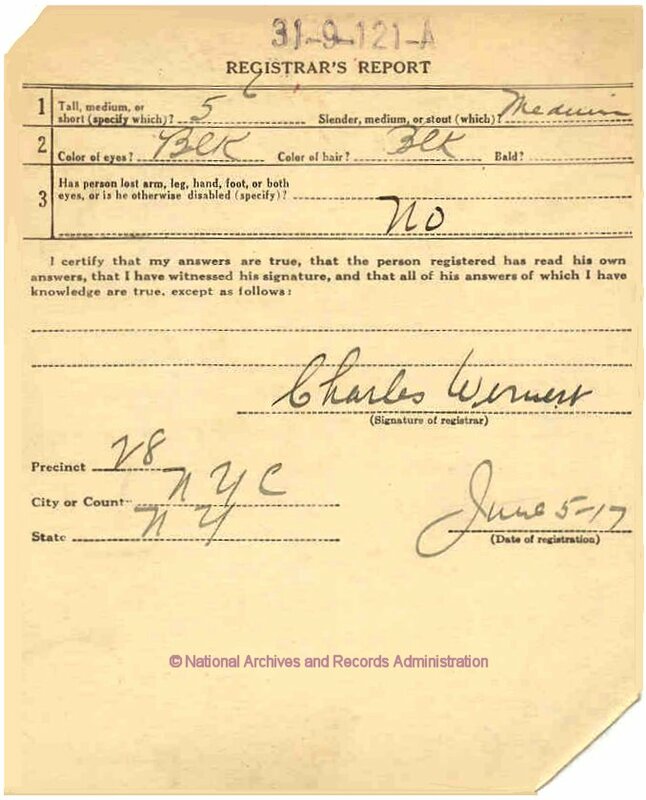 The Columbia records from 1916 were never issued, and no test pressings are known to exist. He recorded a few piano rolls for Vocalstyle, issued in 1919, and some for Q.R.S., issued in 1923, as well as accompaniments for the Two Black Crows (George Moran and Charles Mack) in 1927. His reputation today relies on the recordings he made for Circle in 1946 (reissued on Solo Art SACD-10) and Good Time Jazz in 1958 (reissued by Fantasy on GTJ S10035 with the superb original photograph by the renowned Lee Friedlander on the cover). There is also the 1958 Period album with Garvin Bushell and a rhythm section (Period PRST1929, reissued in the UK in 1999 by Maps on ETDCD 153) with some fine moments, very well recorded. 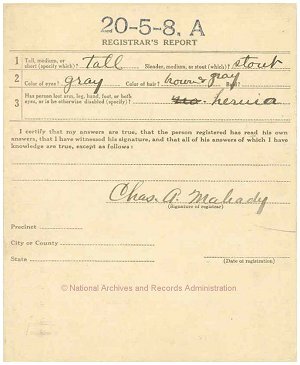 On May 31, 1917, Charles Theodore Straight registered for the draft. 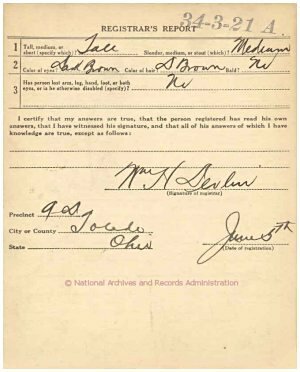 As seen on the card, when asked “Do you claim exemption from the draft?” Straight responded, “Yes, only on acct of wife and baby.” His wife, Sadie, was one year younger than Charley and the baby, Virginia, was about two years old. Another daughter, June was born in 1918. 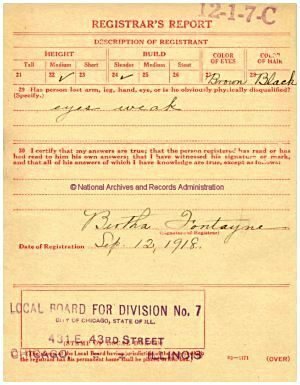 [USC] Straight gives “Waterson, Berlin and Snyder of 81 Randolph Street” as his employer. Waterson, Berlin and Snyder was a publishing company created in 1911 in New York when Henry Waterson and Ted Snyder (the composer of “The Sheik of Araby” and other hits) decided to take Irving Berlin as a partner when he composed his mega-hit “Alexander’s Ragtime Band”. From May 1914 on, the company’s headquarters were in New York City at 224 West Forty-seventh St, in the Strand Theater Building. 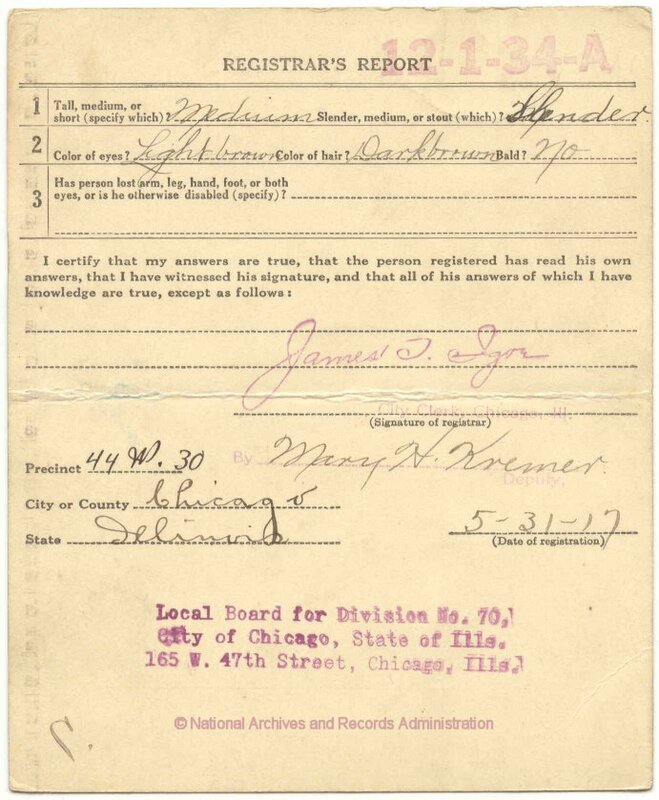 The company also had a subsidiary office in Chicago, first at 43 Monroe St, and then at 81 Randolph St. Evidently, before he joined the “Imperial Player Roll Company”, Straight worked for a time with Waterson, Berlin and Snyder. 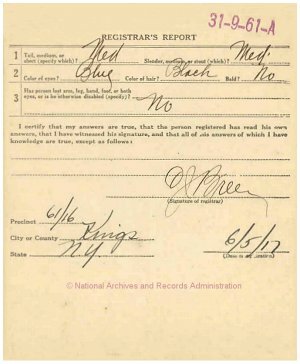 This information was not known prior to the discovery of his draft registration card. Percy soaked up the popular music of the day when as an underage lad he was admitted to the infamous House of Lords “sporting house” in Joplin, [TIR] and played piano at the nearby pavilion at Lakeside park, where ragtime composer James Scott of Carthage was likely to have heard him. [RHCM] He moved to Chicago in 1901, where the McKinley publishing firm hired him to write teaching pieces for $5 each. Forster Music published two of his rags in 1906. He is credited with some 21 Rags, including: Ashy Africa (1903), Peaches and Cream Rag (1905), Made In Germany (1906) [as Karl Schmidt], Noodles (1906), Chestnuts (1906), The Smiler (1907), Dixie Darlings (1907), Crab Apples (1908), Persian Lamb Rag (1908) and Ragtime Chimes (1911).